EAST VILLAGE — A group hoping to build "the first botanic brewery in the country" might have to take its case to the City Council as neighbors remain split on whether the business should be given the exemptions from city rules needed to make the project a reality. 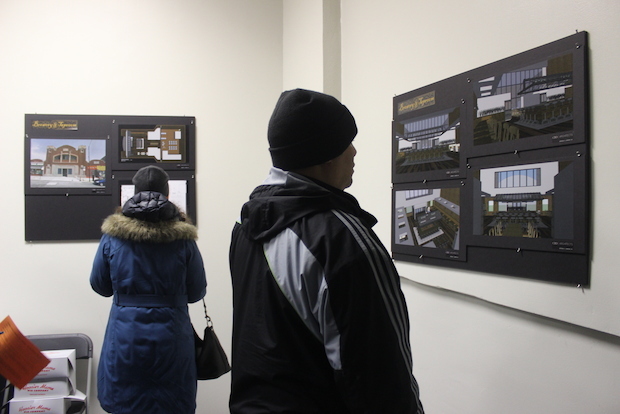 More than 150 residents on Thursday night filled the former Hub Theater at 1746 W. Chicago Ave., the proposed site for Forbidden Root, a botanical microbrewery, taproom and education space with roots in Chicago. The brewery's products would be designed around herbs, dried fig leaves, almond skins, roots, spices and other botanics, but a longstanding liquor ban in the area around the property and restrictions on commercial manufacturing at the site stand in the way of construction, Forbidden Root staffers said. Forbidden Root, a proposed botanical brewery on Chicago Avenue, faces two major hurdles before it could open. The ban on taverns and packaged liquor sales in the area has put Forbidden Root at odds with an influential community group, the East Village Association — though members of both groups said they'd like to see the issue resolved through compromise and collaboration. Rolando Acosta, a lawyer for Forbidden Root, said the brewery would need both the liquor ban lifted and zoning on the property changed, and both issues could need City Council approval. Greg Nagel, a Realtor and member of the East Village Association, said he supports changing liquor rules citywide to allow brewpubs in ares covered by liquor license bans, but he's against lifting the liquor moratorium for Forbidden Root's East Village location. "I can't pledge [the association's support], but I can pledge my support," he told the crowd. "But I have a hunch you'll get EVA support also." A lifting of the ban would affect all businesses on Chicago Avenue between Damen and Ashland avenues. The longstanding moratorium on Chicago Avenue was not created by the association, but the group recently affirmed it. In April, Moreno promised the association that he would not agree to support any more liquor establishments in the area, which is mostly dry, until the end of his current term in February 2015. Moreno last year had lifted a liquor moratorium to allow Garden Gourmet, a small neighborhood market at 1130 N. Ashland Ave., to sell beer and wine. "Some would argue there is a need to change the rules," Acosta said, echoing comments from residents that businesses will raise property values by attracting people and tax dollars to the changing neighborhood. Concerns about the brewery from residents included issues of smells, wastewater management and the loss of on-street parking. Those concerns came from residents who also said they support Forbidden Root's particular plan for an artisanal brewery at the abandoned building. Many of those present, including Richard Alcala, owner of longtime community staple Alcala's Western Wear, said the area is ripe for new business and development. In a mass email Thursday, Kara Salgado, executive director of the West Town Chamber of Commerce, said the chamber believes the restrictive zoning and liquor license moratorium is "truly hurting Chicago Avenue." Forbidden Root brewer B.J. Pichman, who lives in the neighborhood, said the company plans to invest $1.5 million in rehabilitating the location, employ 15 people and bring a unique craft brewery to East Village. "I can't think that this would be anything but great for the neighborhood," he said. 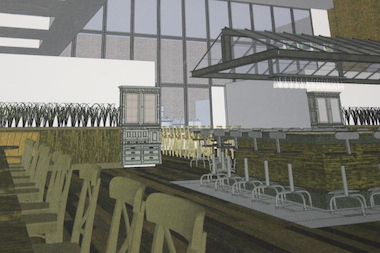 Forbidden Root will need support from all groups involved to get its brewery open at the site. Pichman and Acosta said any changes in the current laws proposed by Forbidden Root will be limited to conditions suiting Forbidden Root — soothing concerns that those changes would open the door to unwanted liquor-related businesses.